Not that long ago I was talking about Auxo, a jailbreak tweak for iOS devices that replaces, some say enhances, Apple's implementation of multitasking on iPhone, iPad, and iPod touch. A new concept video has been posted that builds on what Apple has done and blends it with the card based multitasking analogy that was developed by Palm for webOS. We all know that I have a soft spot for Palm and webOS, so I encourage you to check out this concept video. 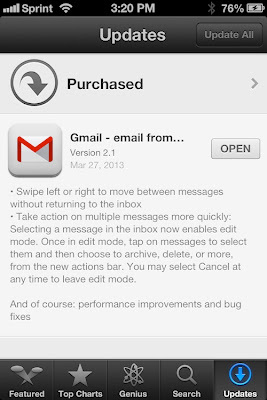 Let's hope that Apple takes it, and what the Auxo folks have done, and builds in some to those ideas into iOS 7. 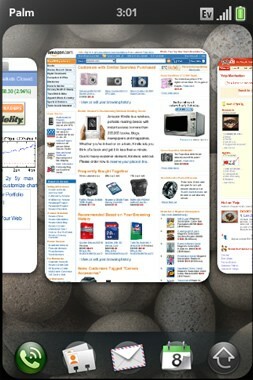 Here's a look at what multitasking cards looked like on Palm's Pre running webOS. We have been hearing and reading rumors about smartphones from Facebook and Amazon for a long time now. Facebook phone rumors are nothing new. I recall reading a TechCrunch story about it in 2010. At the time, Facebook spokesperson Jamie Schopflin told Mashable that, "[T]he story, which originated in Techcrunch, is not accurate. Facebook is not building a phone." That was then, and this is now, and judging by the "media only" event invitations that went out, something's up. I seriously doubt that Facebook would be holding a media event for a major new release of their mobile app for Android or iOS. Amazon smartphone rumors are a little bit more recent. They didn't start until people saw that Amazon could build a credible tablet beyond the Kindle e-reader as CNet talked about back in 2011. 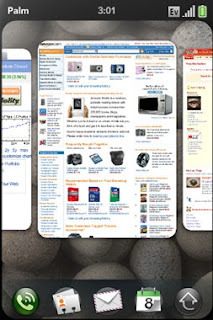 Will we see the book-seller-turned-tech-giant CEO Jeff Bezos on stage later this year hawking a Kindle Fire smartphone? "Development of Amazon's rumored handset reportedly remains fluid, and the retailer is said to be "working on or enhancing other specifications" of the device." So, what we can gather, if any of these rumors are accurate, is that both Facebook and Amazon are hard at work on their smartphone plans. 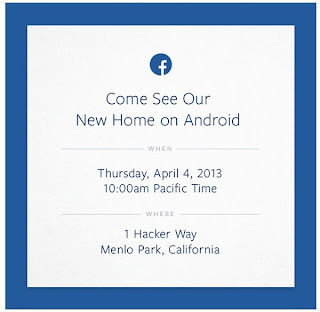 Facebook looks to be closer to the finish line as they are calling a major tech event next week. It is unclear how Facebook would position a smartphone. Would they view themselves as a premium brand go try to complete directly with Apple and Samsung on the high end? 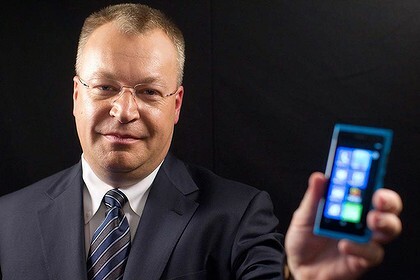 Would they go after the smaller Windows Phone and BlackBerry market? Or would they they to complete on the "free with a new 2-year contract" level? 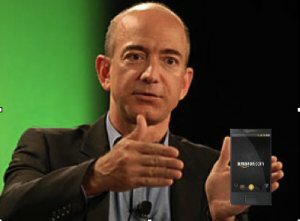 Amazon, still looks to be refining their device to get the most bang for the buck, which makes sense because the Kindle Fire isn't about profit margins on the hardware, it's about how much can the vendor sell with their own "a store that fits in the palm of your hand" smartphone. With that in mind, I can't see Amazon trying to position their phone any higher than the mid-market. Since Amazon is more about selling things and content, it makes more sense to me that they would have their own phone on the low end side, and continue to develop their mobile apps for iOS, Android, and all the rest to maximize the number of people viewing the goods they have for sale. A few days ago, Apple released an updated version of their Podcasts app for iOS. That app not only got me listening to podcasts again, but may foretell of the coming changes to iOS 7 and beyond. If you will recall, back in October of 2012, iOS chief Scott Forstall was pushed out of Apple's inner circle, and the company. You get to pick the reason; whether it was his personality, his management style, his vision for iOS, or his refusal to publicly apologize for the problems with Apple's Maps app - a disliked replacement for Google Maps. Whatever the reason, CEO Tim Cook ejected Forstall and put long time Apple hardware designer Jonathan Ive in charge of both hardware and software designs. Known for his sleek and simple designs, we where left wondering how that might impact iOS. With the new Podcasts app, I think we've gotten our answer. 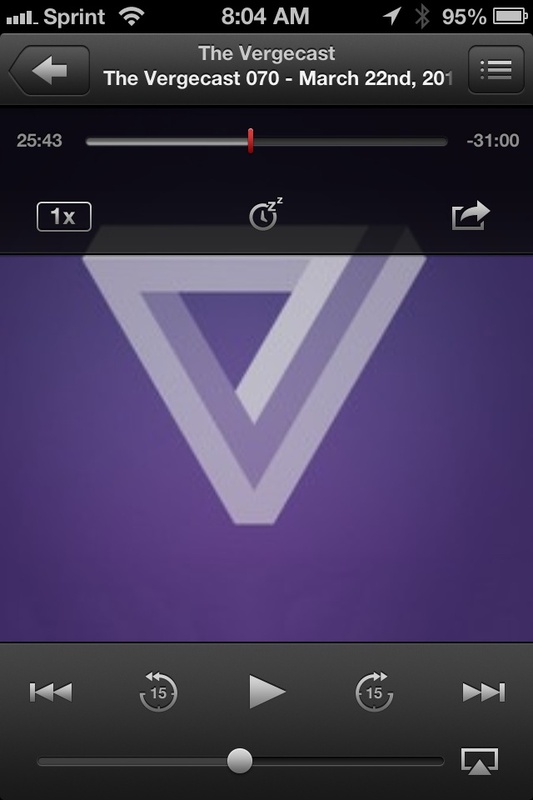 The new Podcasts app is still familiar, but looks much better. Gone are the design elements mean to mimic real life items. So the goofy reel-to-reel screen, that I kinda liked, are gone. The new interface is flat, clean, and colorful, but not in the big splash of color kind of way that Microsoft has taken up with Windows 8 and Windows 8 Phone Metro look and feel. I like the new feel. 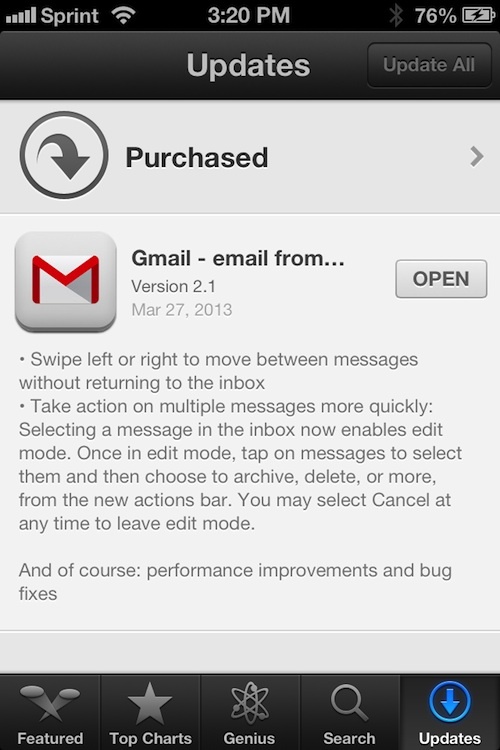 So what does this mean for iOS and future versions of Mac OS X? I think we're going to see a lot of small changes to Apple's user interface, or UI, design language. The tan leather and stitching we see in the Calendar app probably won't be there much longer. The charcoal grey linen backdrop that appears in the iOS Notification Center and the Mac OS X login screen may or may not go away too. And personally, I hope the annoying Music/iPod app interface on the iPad goes away too. I really find that wood trim effect so annoying that I very rarely ever use the Music app on my iPad. 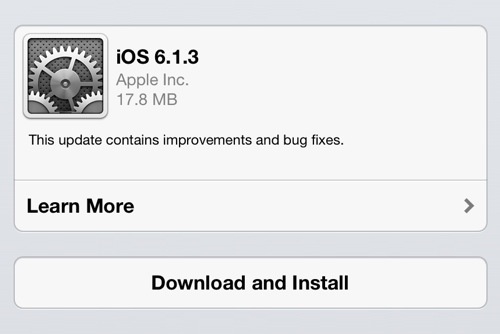 Earlier today, Apple released iOS 6.1.3, a security and maintenance update of iPhone, iPad, and iPod touch. iOS 6.1.3 fixes the lock screen bug that was introduced in an earlier version of iOS 6. The update also includes minor fixes and updates for the Japanese version of Maps. 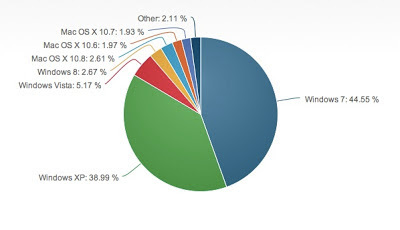 You might recall that iOS 6.1.3 started out life as iOS 6.1.1 back on February 6th. A number of serious bugs where discovered in iOS 6.1, 6.1.1, and 6.1.2, forcing the originally planned iOS 6.1.1 to become 6.1.3.
iOS 6.1.3 is available now for current model iPhone, iPad, and iPod touch models. To upgrade your device OTA, go to: Settings > General > Software Update. Apple has also released Apple TV 5.2.1 update for second and third generation Apple TVs. 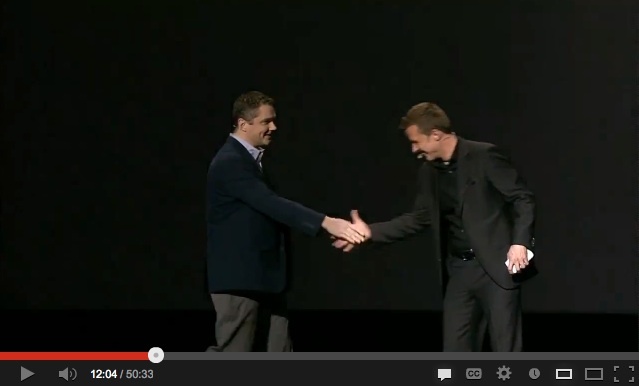 The following are my thoughts and comments made while watching the Samsung Galaxy S4 launch event video. Be advised that I am an Apple fanboy. You've been warned. - The opening remarks made me think that I was watching an boring awards show rather than a product launch from a major technology company. - The Galaxy S4 was developed by "Innovation inspired by people" as opposed to....? - Forget the famous S Pen, get ready for "S Heath"
- "These ideas have been conceived from observations from real life." And by real life, Samsung means Apple, the iPhone, and iOS. 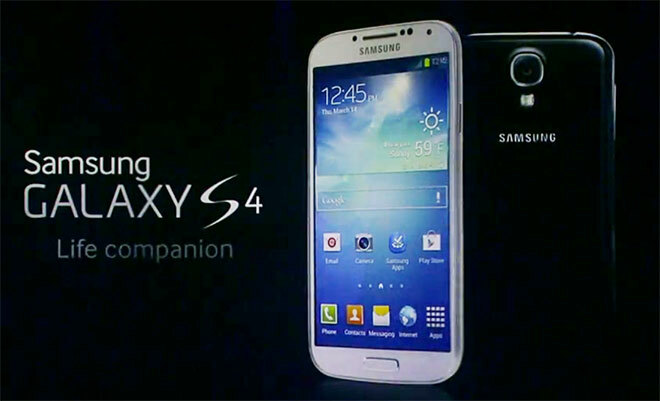 - Life is a journey and the Galaxy S4 is a companion for that journey. 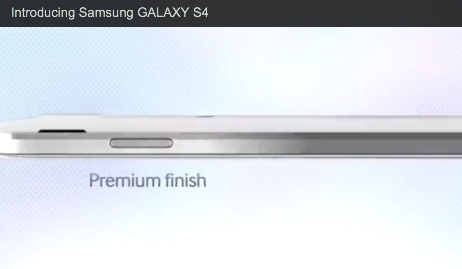 - The Galaxy S4 "is slimmer, lighter, and more solid" - ok, sure, but as compared to what? 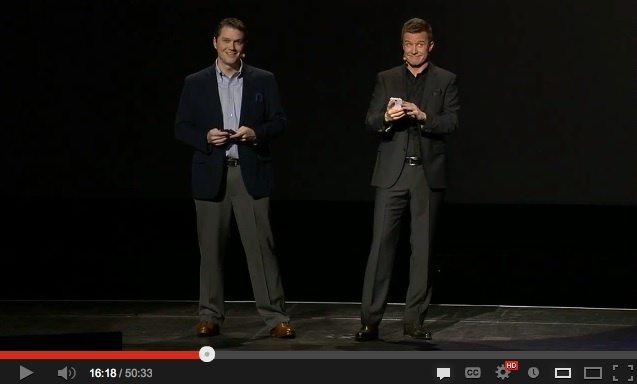 - Look how big that white Galaxy S4 looks in the emcee's hand! 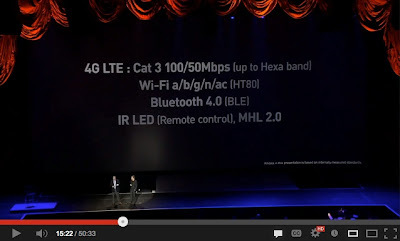 - I find it interesting that while they are talking about wireless performance, there is a note at the bottom right side of the slide that reads: "All data in this presentation is based on internally measured standards." - Dual Camera feature - picture/movie can include images from rear and front facing cameras simultaneously. Ok, that's cool. - Eraser allows you to take multiple pictures, blend them, and remove unwanted people who may wonder into the shot. Works on Does not work on real people like in-laws. - S Translator is the voice translation feature that can be useful if you travel to places that don't speak your native language. - Where have I seen that HomeSync cloud icon before? 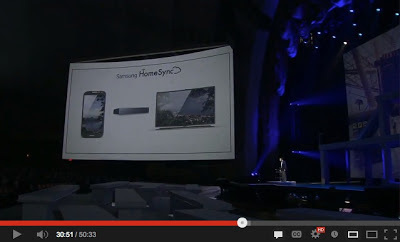 - HomeSync is Samsung's iCloud response. It comes with 1TB of storage space, vastly more than Apple's 5GB of space for every iOS user. 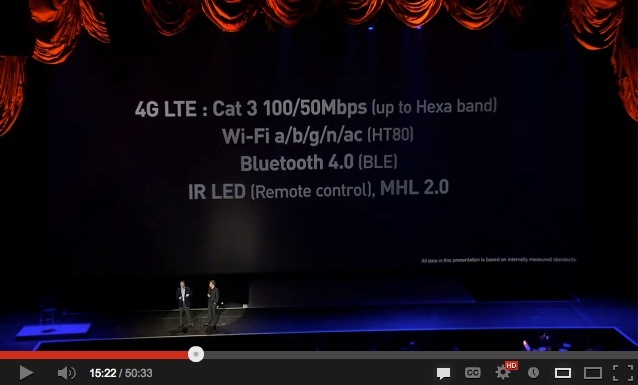 - HomeSync can support up to 8 users and can be paired with a Galaxy S4 over NFC. - HomeSync also has an Apple TV AirPlay-like feature. - Why is no one laughing at these *amazing* jokes?! - Smart Switch is a utility that will allow you to transfer all of your data "from almost any mobile operating system" to the Galaxy S4. Funny how that phone on the left side of the slide looks familiar. 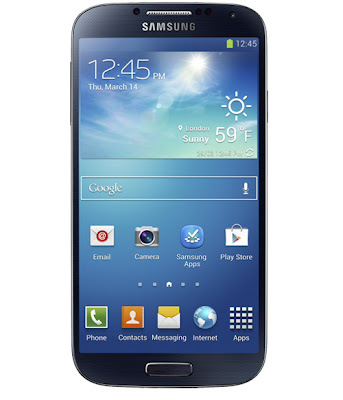 - "Samsung Knox is designed for business and enterprise users. It locks your device down and keeps it safe from malicious applications." Wow! That says A LOT about the state of Android. First you talk about who it's for - That's fine - and the next thing you say is that it will help protect you from all the malicious Android software?! 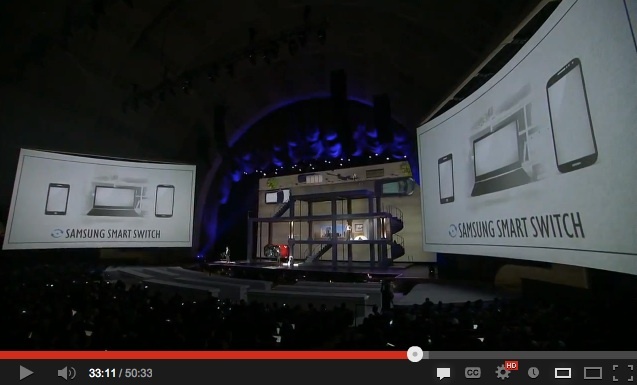 Did Samsung forget they were in a room full of journalists and tech writers? 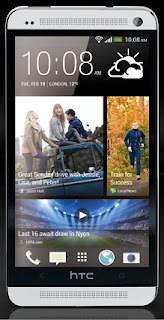 - Knox is built on top of security enhanced Android. 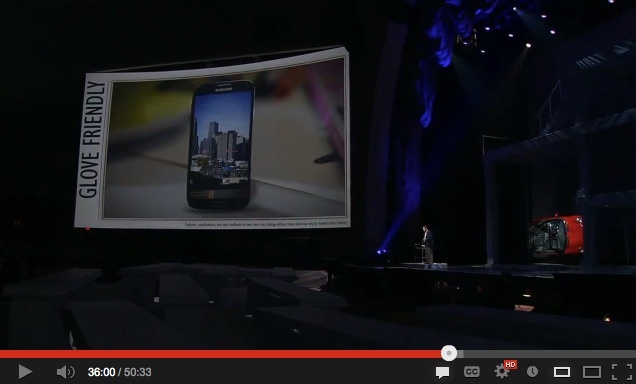 At 36:54 minutes into a 55 minute presentation, this is the first and last time that Samsung mentions the Google Android operating system. - Group Play will allow you to stream music to up to 8 Galaxy S4 phones simultaneously. Must be fun at parties. 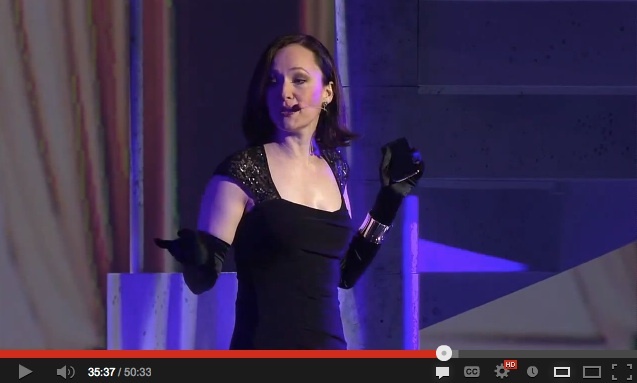 - The Galaxy S4 can be used while wearing gloves! - Works even better if the actress remembers to turn on the phone on first. 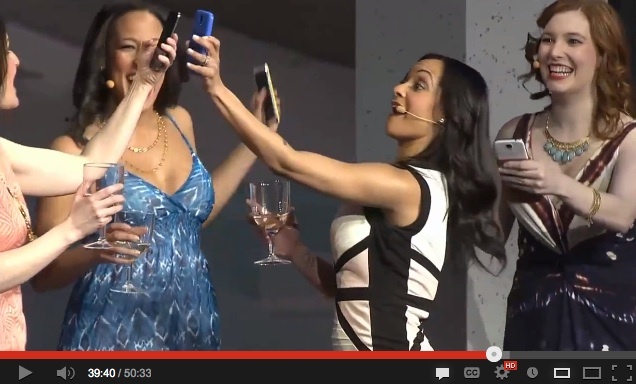 It would be easier to see it in her gloved right hand if that super bright 4.99" AMOLED screen was on. - Smart Scroll / Pause allows you to look away from your phone and have the video you are watching pause until you look back at the screen. Again, another cool feature. I wonder how much battery running the front facing camera while watching a 2-hour movie chews up. - Would you buy an expensive smartphone from these guys?! 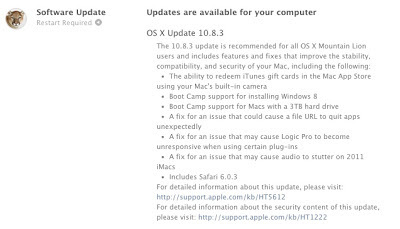 Earlier this week, Apple released Mac OS X Mountain Lion 10.8.3. 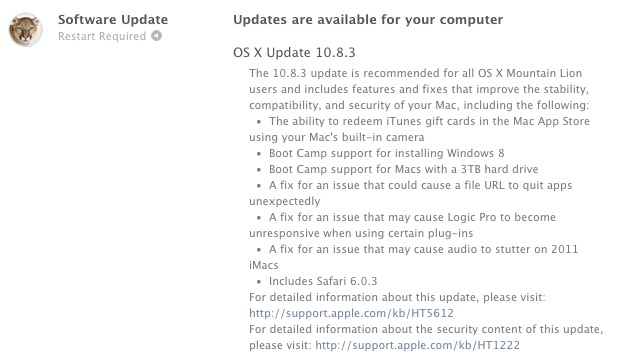 This maintenance upgrade is recommended for all Apple customers running Mountain Lion on their Macintosh. You can upgrade your Mac by clicking on the Mac App Store icon in the Dock and then clicking the Updates icon on the top right of the App Store toolbar. If you are running the upgrade on a MacBook, MacBook Pro, or MacBook Air, it is strongly recommended that you plug in your power adapter before starting the upgrade. 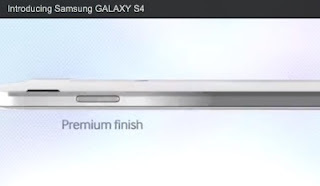 I was watching the Introducing Samsung Galaxy S4 video yesterday and I was wondering how a phone with a plastic body can have a 'premium' finish. I didn't have to wonder long or look too far to find my answer. "The first time you pick up an iPhone, HTC (2498) One or even a Nokia (NOK) Lumia smartphone you will be impressed with the build quality. These are devices that actually feel like they’re worth the $600+ price tags. 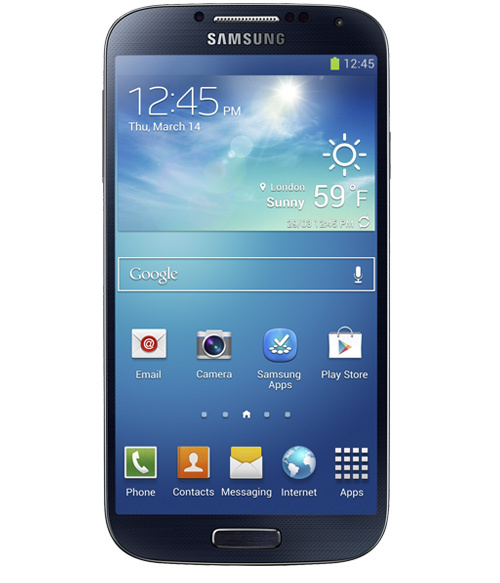 The Galaxy S 4, on the other hand, feels more like a toy than a high-end smartphone. The device is incredibly light, weighing a mere 130 grams, but unlike the iPhone 5, which weighs in at 112 grams, Samsung’s latest smartphone feels as if it can be snapped in half, even more so than the Galaxy S III. Over the course of a two-year contract you better not let this smartphone fall out of your hand or else you will be in trouble." I'll be sticking with my iPhone, thanks. If you are planning on getting a Galaxy S4, you also better consider getting a protective case from Cygnett. 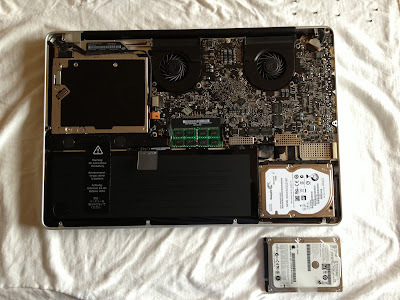 Recently I started looking around at ways to upgrade my mid-2009 MacBook Pro 17-inch to extend it's life another 12-18 months before I have to "upgrade" to a smaller 15-inch model. Last year I upgraded my MacBook to 8GB of RAM and this year it was time to do something about the pokey 5400-RPM stock disk drive. I started looking a purely solid state flash memory disk drive option and they turned out to be too expensive for anything over 400GB. 750GB and larger traditional disk drives are cheaper, but was a speed bump from 5400 to 7200-RPM really going to help get rid of the annoying spinning beach balls that we all hate to see on our Macs? It's that last point that gives a hybrid drive like the Momentus XT it's edge. The disk drive is presented to the Mac, or a Windows PC, just like a standard SATA disk drive. But internally to the disk drive, the controller board is monitoring which data you access most frequently, and moves that data off the traditional disk platter and into the 8GB flash storage. As your computing habits change, the Momentus drive continually reevaluates what data should be moved to the flash space to boost performance. 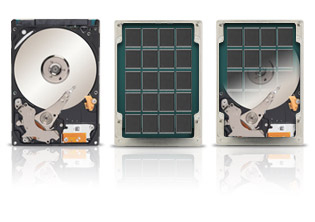 Editor's Note: Seagate has recently upgraded their line of hybrid notebook hard drives. You can learn more about them on the Seagate website. Upgrading your MacBook or Windows PC will vary by manufacturer and model, but the physical upgrade to my MacBook Pro took about 20 minutes. Apple publishes memory and hard disk upgrade guides on their support website. Overall, I've noticed an significant boost in performance on my MacBook Pro. I immediately noticed that spinning beach balls show up far less than they used to. There has also be a significant improvement in application launch times. Launching iTunes, iPhoto, or any of the Microsoft Office 2011 apps was a painful go-get-another-can-of-Diet-Coke-while-the-app-launches experience. Not so after installing the Momentus XT. The bottom line for me is that Seagate has long been a trusted brand for me, and the Momentus XT 750GB drive is no exception. For the cost of the drive there has been a significant boost in performance that will allow me to put off having to purchase a new MacBook Pro for at least another year. New York, USA, March 14, 2013 - Samsung Electronics announced today the fourth generation GALAXY S, the GALAXY S 4, designed to get you closer to what matters in life and bring your world together. Read the full press release on the Samsung website. Take this with a grain of salt, because I'm putting this in the 'rumor' category, but...if a supposedly 'leaked' video is real, Google's next assault on the iOS ecosystem will be the up until now Android exclusive Google Now digital assistant. 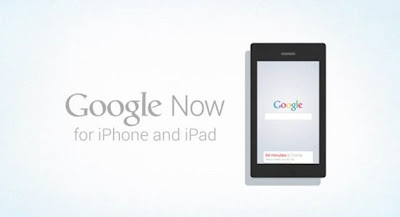 "Google Now, an Android-only app that aims to provide users with "the right information, at just the right time", is coming to iOS, if a leaked video is to be believed. 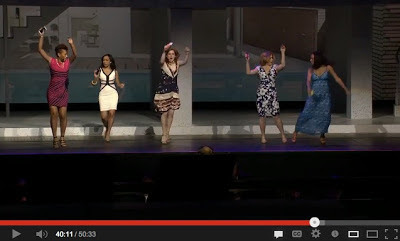 Google reportedly posted this promotional video to YouTube accidentally." As you might imagine, the Google video was quickly pulled from YouTube, but you can watch the video below. Ok, when I upgrade to my next iPhone, be it the "iPhone 5S," or whatever Apple decides to call it, Twelve South, will be on my short list for a new case. With Apple's hardware design relatively unchanged since 2010, do people see the iPhone as "boring?" In a piece on iMore.com, Rene Ritchie, seems to think that Apple is facing a challenge of keeping the iPhone fresh - and by extension - interested in the fruit themed smartphone. 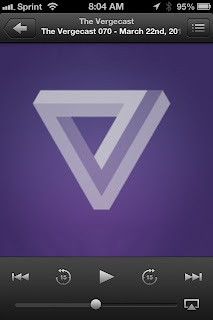 "Thanks to Apple's tick-tock product cycle, where a new design is introduced one year, and that design is iteratively updated with new internals the next year, both of those problems -- consumer presumption and competitive counter-programming -- become amplified. When the impression is that Apple will "only" release an S-class phone in any given year, consumers might be more interested in seeing what else is out there. They might be interested in seeing something different." 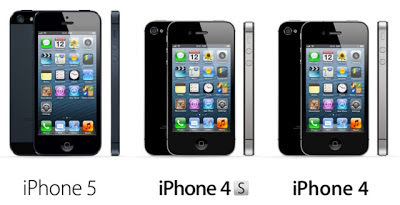 I happen to like the iPhone 4/4S/5 form factor to that of the iPhone 3G/3GS. (The original iPhone is sort of a compromise design that I could live with, but I'm not excited about.) I've also said that if you read technology blogs like Smartphone Fanatics, we're not the target market for Apple. Or Samsung for that matter. I have a lot of respect for Rene's work and I recommend that you read his 'The "iPhone 5S" Problem' article on iMore. "It can be the biggest operating system in the world." Stop and think about that for a second. The 6-year-old Windows Vista operating system, arguably the worst Window releases of all time, has more Internet traffic than Microsoft's latest 'flagship' operating system, Windows 8 according to Net Applications, an analytics firm. Sounds like raising the price from $39.99 to $199.99 for Windows Professional was exactly the boost Windows 8 needed. It seems that rumors and hushed whispers are always going on these days about future Apple products and I've become more skeptical of them as time goes on. 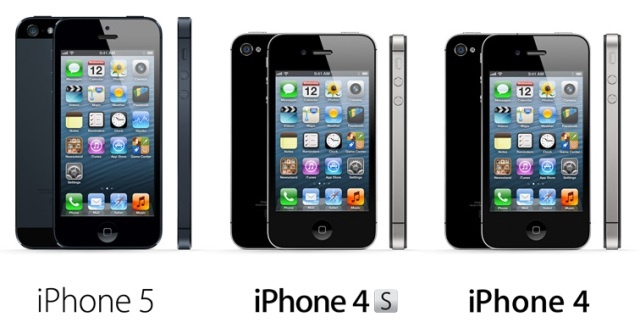 That said, I do catch myself getting a little excited about news of the next iPhone, rumored to be the 'iPhone 5S'. 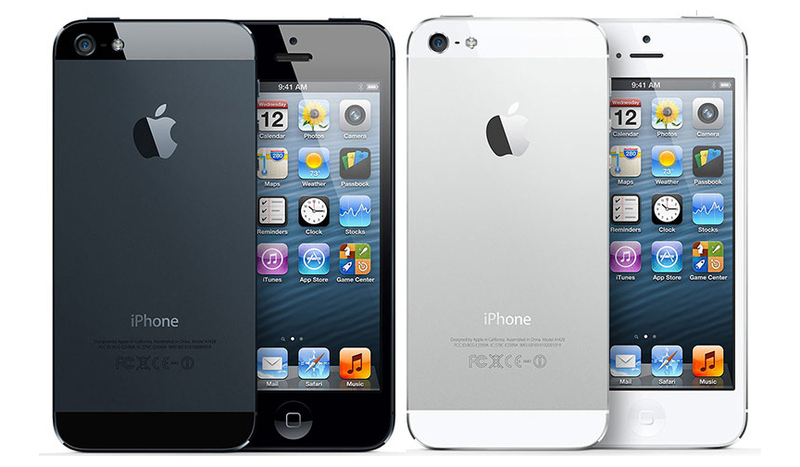 The latest rumor de jure is that the iPhone 5S will be going on sale in August, 2013. That is not as late in the year as October, when my iPhone 4S went on sale, and later than June when older models went on sale. It's also later than some of the rumors that put the launch date in late May or early June. As with most of these rumors, they come from somewhere deep in Apple's supply chain and come to us via websites that we can't read without running it through Google's translators, so take all of this with a grain of salt. In addition to the iPhone 5S, the rumor also goes on to say that the often rumored in expensive iPhone designed for 'emerging markets' will also begin shipping with a body made out of polycarbonate - the same material Apple's retired white MacBooks were made out of. 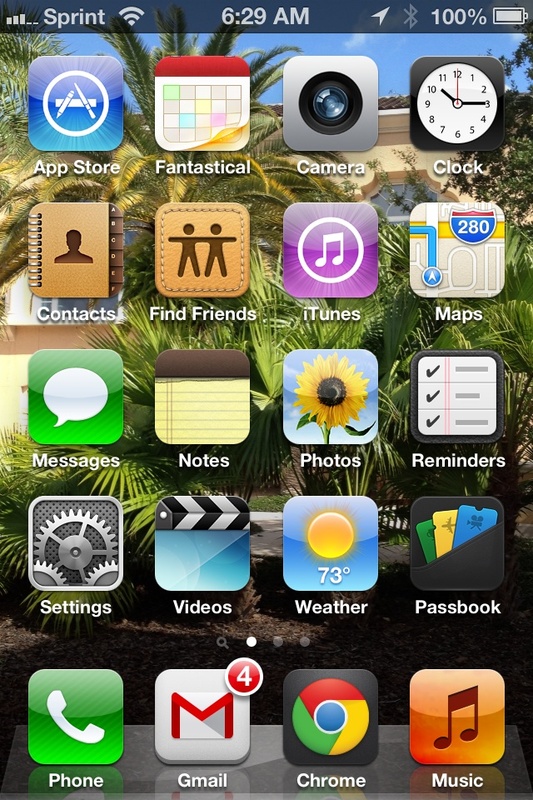 I'm a stock iOS guy. I don't jailbreak my iPhone. (Go #TeamPure!) I don't tweak it. I do install apps, games, and utilities. But my every day go to apps have always been the stock Apple apps: Mail, Safari, Calendar, and Siri. Until today. Starting today, I'm going to try out some third-party applications as my every day go to apps. Why? you might ask? Well, I've been reading a lot about how Apple is being 'out Appled' by Google. In other words, Google is getting much better at hardware design faster than Apple is getting better at software and services. That doesn't really mean much to us common folk, but it has inspired me to try out and use new software and that is a good thing. On my iPhone and iPad 3, Mail has been replaced by Gmail, Calendar by Fantastical, Safari by Chrome, and Siri by Google Search. I also installed Google Maps in addition to Apple Maps, but honestly, I don't use either maps app on my iPhone very often for it to make a difference. I though about using Pandora, Spotify, Amazon Cloud Player or Rdio to replace iTunes but I didn't want to switch to a streaming service because I don't want to run my iPhone's battery down any faster than it already does. I'll run my experiment for 2-4 weeks and then post my thoughts about things here. If you have a favorite app that replaces a stock Apple app, let us know and post it in the comments section below.